Backflip Studios and Space Ape Games' Transformers: Earth Wars has surpassed 10 million downloads in the 12 months since it was first released globally. The developers will be celebrating the game's first anniversary with new content and events throughout the next month. Space Ape will also continue to support the game beyond its first year with additional content and events. Transformers: Earth Wars is built on Space Ape's most successful original IP, Rival Kingdoms. According to COO Simon Hade, the developer was approached to make a Transformers strategy title by Backflip back in late 2014. Earth Wars went on to win the Game of the Year award at the TIGA Awards 2016. 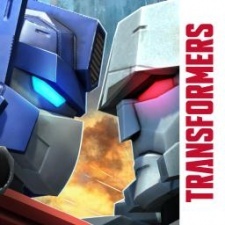 It also fended off rival Transformers game Forged To Fight in the iOS grossing ranks when Kabam's game launched in April 2017. Space Ape has since turned away from strategy titles to focus on casual games, such as its recent release Fastlane: Road to Revenge. It also sold a 62% stake in the company to Supercell for $55.8 million in May 2017.